aSa Bar List for Revit® allows you to take off material from your Revit model and create a file containing all the information needed to automate fabrication, delivery, and installation activities with aSa rebar software solutions. With aSa Bar List for Revit, you don’t have to worry about using complicated third-party tools to generate aSa-ready takeoff. Simply make your selection, enter project details, and go. When you perform an aSa Revit takeoff, the selected elements on the model are automatically updated to an “Exported” status to prevent them from being taken off again by accident. aSa invested heavily in developing the Rebar Data Exchange (RDX) file format. RDX contains all the information necessary to successfully import into the aSa database. The process is simple. Use Revit’s selection tools to select the area of the drawing that you want to take off. You can select a specific section, individual elements, or the entire drawing; it’s completely up to you. Next, click RDX Export in the Add-ons Menu. At this point, a window displays, pre-populated with project information from your Revit model. You simply fill in any additional details and click Proceed. 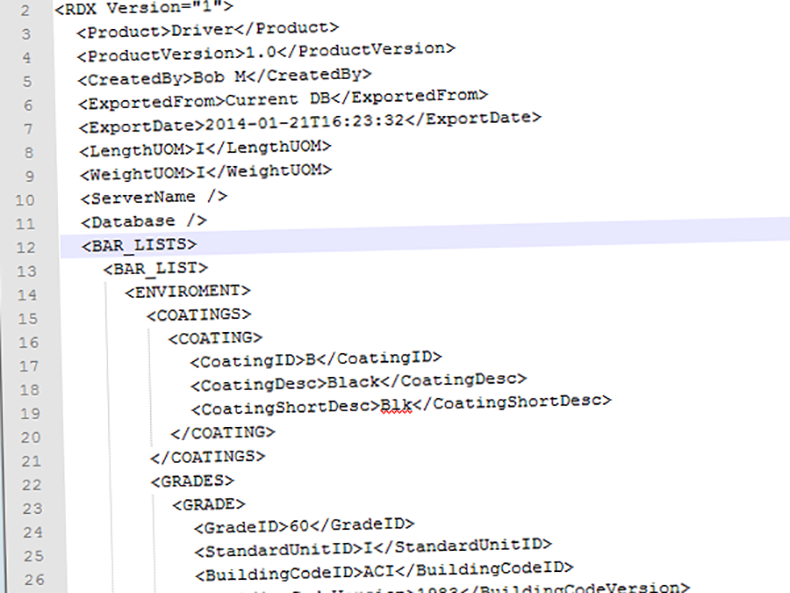 You can then edit the order and create reports using the full functionality of aSa Bar List. 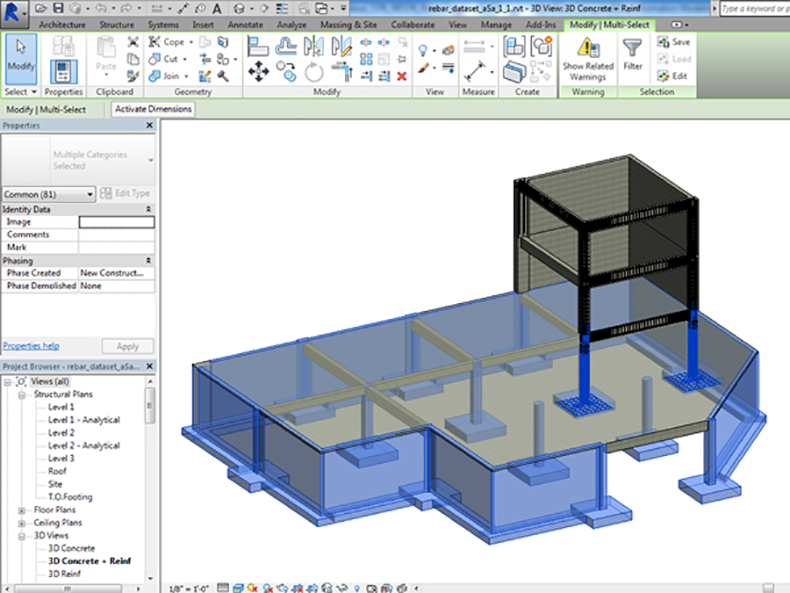 Scroll through the screens below to explore just a few of Bar List for Revit's many benefits. Take advantage of BIM technology. Share your modeling data with downstream rebar operations. 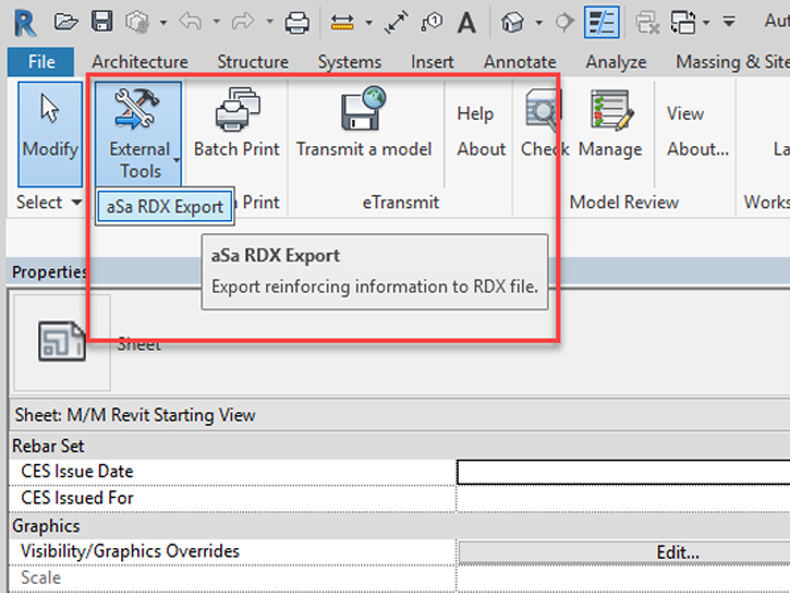 Simply select an area of your model and click Export to RDX. The system creates a Rebar Data Exchange (RDX) file that can be imported into the aSa database and edited with aSa Bar List.